These days you can’t seem to scroll through Instagram without an ubiquitous ad for sugary gummy hair vitamins. Shared and promoted by influencers and celebrities alike and touted as a sweet and chewy way to increase your vitamin intake, what’s not to love? We took a look these sweet hair supplements and the facts just don’t seem to add up. What are inside these so-called supplements? Let’s take Sugar Bear Hair, there are 15 calories and 3 grams of sugar in your daily dose.Currently, most gummies on the market do contain plenty of extra sugar to make them fun to eat, which “increases the inflammatory and fat-storing hormone, insulin,” says Dietian and Author Shelly Malone. It’s also important to remember to brush and floss once you’ve taken the gummy to avoid the slow process of tooth decay. 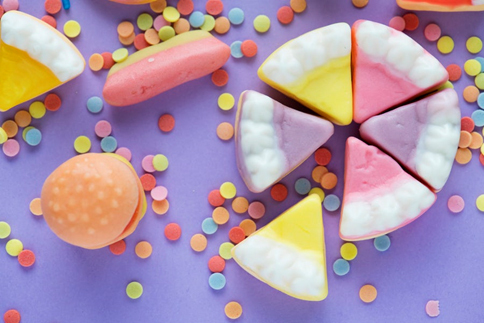 As US-based dentist Jonathan B. Levine, DMD points out, “Gummies contain glucose syrup, sucrose, and gelatin, these ingredients stick to your teeth: leading to a demineralization of our teeth. Gummy products have much lower doses of minerals and vitamins compared to vitamins that come in tablet form. As nutritionist, Lisa Drayer, MARD and author of The Beauty Diet, highlights, gummy supplements aren’t regulated by the Food and Drug Administration. These chewable supplements may contain much smaller concentrations of vitamins compared to tablets, says Drayer. Instead of opting for supplements with a high level of sugar and low amount of nutritional content, it might be a good idea to try out one of our favourite brands, It Really Works Vitamins. 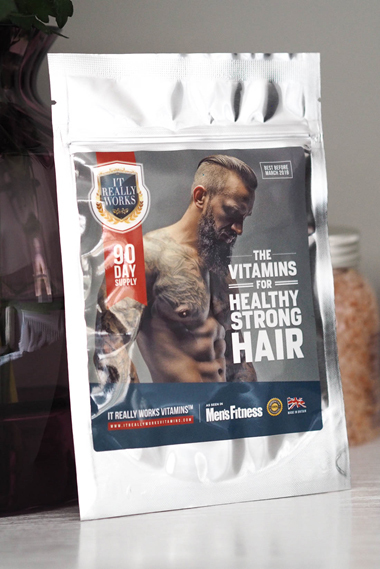 These extra strength, UK-made supplements are packed with 22 trace elements, minerals and vitamins that are formulated to keep your hair thick, healthy and strong. 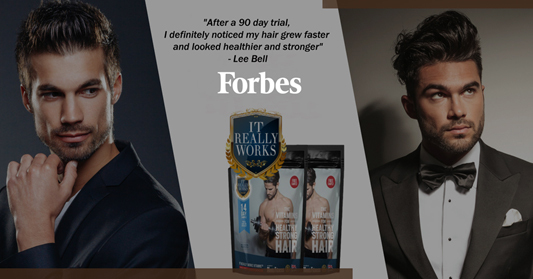 As seen in Men’s Health and Forbes, this is a leading hair vitamin brand on the market. It Really Works Vitamins are packed with 800% of your Recommended Daily Allowance of Biotin. 188% of your Recommended Daily Allowance of Vitamin A. 200% of your RDA of Copper and 250% of your RDA of Manganese. These minerals and vitamins and known to encourage healthy hair growth. Best of all with It Really Works Vitamins, if you don’t have healthier thicker hair within 90 days, they refund you. Its Ok to better yourself!